Gia Lai, July 10, 2018 – Trung Nguyen International (TNI) officially opened the doors to the first King Coffee store in its coffee chain nestled at No.2 Le Loi, Hoi Thuong ward, Pleiku city. This flagship store, which has been designed to reflect a high end coffee store while embracing the distinctive feature “Coffee of the World – The World of Coffee”. King Coffee store boasts its first-in-class coffee feature: coffee of the world – which offers coffee drinkers the opportunity to enjoy tasty coffees coming from a wide range of coffee cultures across the globe. 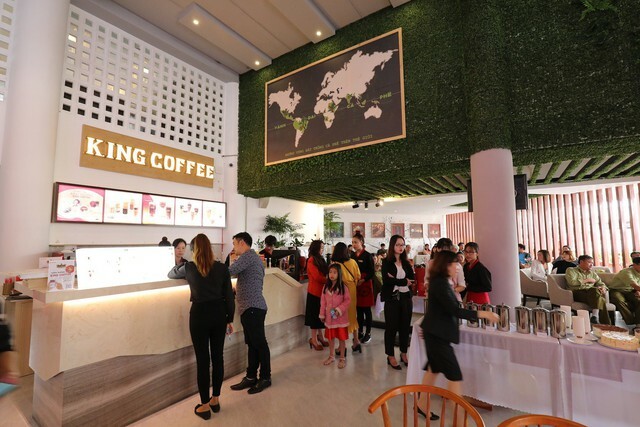 The launch of this high-end coffee chain marks the beginning of King Coffee’s Vietnam journey following the success of King Coffee coffee products all over the world. Positioned as the “place for connecting people, creativity and passion”, the King Coffee store provides customers a place for a high level of engagement with coffee lovers and a deep connection with people. King Coffee coffee chain leverages the experience and values of Trung Nguyen franchising chain – a well-known brand under Trung Nguyen Group owned and built by Madame Le Hoang Diep Thao nearly 20 years ago. Converging the quintessence of coffee industry, King Coffee chain takes on the role of re-building the third wave of coffee that Trung Nguyen successfully laid the foundation before. Under the leadership of the coffee leader with 20 years of experiences in the coffee industry and a deep understanding of developing the franchising system (Trung Nguyen is Vietnam’s first brand that put in place the franchising business model), King Coffee entered the coffee chain market with a strong and assured position. 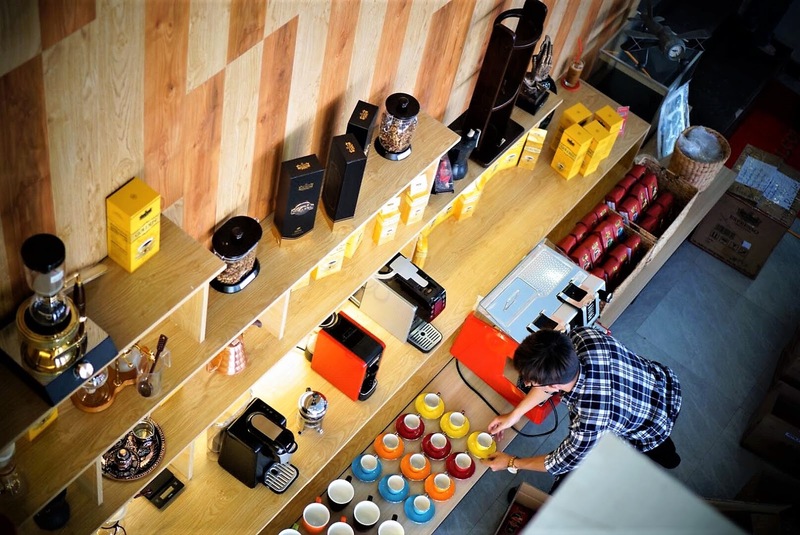 King Coffee Gia Lai and the following stores feature two areas: one for enjoying coffee and the other for showcasing the coffee culture and art. 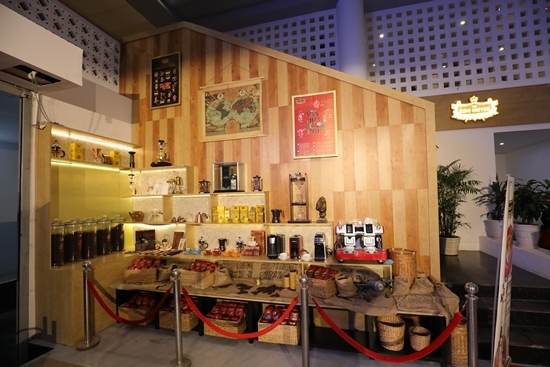 All the prestigious coffee products of Trung Nguyen International and distinctive accessories related to the coffee culture and art are displayed here. Explaining the reasons for choosing Gia Lai as the place to set the first King Coffee store, Madame Le Hoang Diep Thao – CEO of Trung Nguyen International said that Gia Lai is the heritage land of coffee – the second biggest coffee land only behind the capital of coffee Buon Ma Thuot. Besides, growing from Gia Lai and successfully starting up with Trung Nguyen Group and Trung Nguyen International, Madame Le Hoang Diep Thao wishes to bring her countryman the opportunity to enjoy the best coffees in the world. With the mission to connect people and inspire creativity and passion, the King Coffee coffee chain offers flagship products of Trung Nguyen International – King Coffee coffee products, including a wide selection of whole bean coffees selected from the best coffee growing areas in the world: Brazil, Colombia, Guatemala, Da Lat and Buon Ma Thuot. The idea “Coffee of the World and The World of Coffee” also targets foreign visitors coming to Vietnam as most of them seek to buy coffees as souvenirs. Marking one-year anniversary of King Coffee’s presence in Vietnam after successfully conquering the world, CEO Le Hoang Diep Thao said: "King Coffee will be the King of Vietnamese coffee in Vietnam and King Coffee Gia Lai store marks a strong beginning for Trung Nguyen International’s coffee chain. We built King Coffee brand to conquer the global market and to assert the position of the world’s second biggest coffee exporter.” As a global coffee brand, King Coffee has been building coffee stores in different models that best meet consumers’ coffee demands and habits. In the coming time, Trung Nguyen International plans to develop new brands to open the door to become the leading F&B brand. Trung Nguyen International has built and develop the distribution network across 63 provinces and cities in the short time. Only after 5 months of presence in Vietnam, Trung Nguyen International built up TNI King Coffee factory, making a splash in the coffee industry. 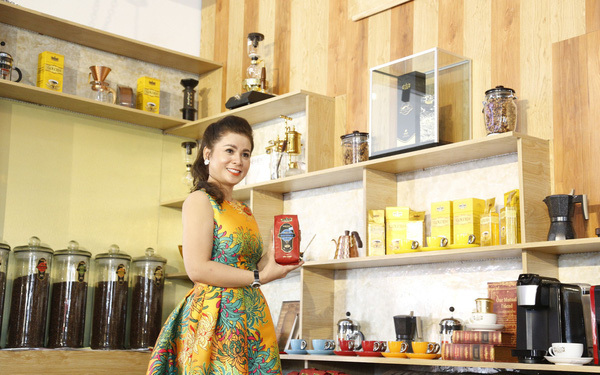 Successfully bringing Vietnamese coffee beans to the world, CEO Le Hoang Diep Thao is getting ready to turn King Coffee into “King of Vietnamese Coffee” – just as what she achieved for G7 coffee brand.